Quick heads-up! Instead of meeting on Monday, February 26th, we will now be gathering on Thursday, March 8th from 6-7pm to talk about the upcoming Falmouth Rogue season. If you or your student athlete is planning on playing with the travel team, please try to attend. Also, spread the word! Mark your schedule for this Monday, March 13th, for the annual Falmouth Rogue Parents/Players meeting, which will be held at the Falmouth Town Library from 7-8pm. Falmouth Rogue is open to girls and boys in the 4th-8th grades living in Falmouth. 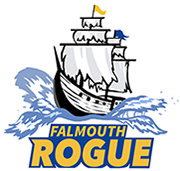 The deadline to register for Falmouth Rogue, the travel team, is next Wednesday, March 15th. Ultiworld is a great website packed with tons of great strategic ultimate frisbee related content. Click over and check out their article on the best throwers in college ultimate. We’re hosting a second Parents & Players Meeting on Tuesday, March 29th at 6pm at the Falmouth Town Library on Lunt Road. This meeting with be the same as our first gathering earlier this month and is designed for parents who were unable to attend that meeting. I will talk about the upcoming season, the differences between Travel and Intramural, and answer all questions. Remember that the deadline to sign up for the Travel Team is April 1st, so this last meeting is a good chance to find out any last details before deciding which team to play on (there is no deadline for the Intramural Team). The first Parents and Players meeting of the season will be at the Falmouth Memorial Library on Thursday, March 10th at 6pm at the Falmouth Memorial Library on Lunt Road. I will go over details for the season, including the new split to two teams (Travel and Intramural) and answer any questions. I will be posting all necessary details here on the website after the meeting, so if you can’t make it for whatever reason, don’t worry.